Whether Husband can seek divorce against wife if wife had filed false case against husband ? Before :- R.D. Dhanuka, J. Second Appeal No. 634 of 2013. D/d. 23.12.2015. For the Appellant :- Seema Sarnaik i/b Raj Khude, Advocates. For the Respondent :- Y.R. Bhate with Kirankumar Phakade, Advocates. R.D. Dhanuka, J. - By this second appeal, the appellant has impugned the order passed by the Lower Appellate Bench granting reliefs in favour of the respondent in the civil appeal filed by the respondent. The appellant was the original petitioner in Marriage Petition and the respondent herein was the original respondent in the Marriage Petition. 2. On 15th June, 2002, the appellant was married to the respondent in Ganapati Temple, Manor. It was the case of the respondent wife that the appellant and the respondent were already staying together since 1996 and during the period between 1996 and 1999, the appellant had refused the proposal of the respondent to marry her. It was the case of the appellant that the respondent and her brother Mr.Jagdish Patil had come to the house of the appellant and given him L 10,000/- and asked him to marry with the respondent which the appellant had refused and had returned the said amount. The respondent filed a case (Regular Case No.203/1999) in Palghar Court under sections 3 and 4 of the Prevention of Dowry Prohibition Act against him. 3. It was the case of the appellant that during the Navratri festival, when the appellant was doing lighting work, respondent abused the respondent in filthy language and filed a case bearing Summary Case No.584/01 under sections 323, 504 and 506 of Indian Penal Code. 5. On 31st May, 2004, the appellant had filed a complaint against the respondent with the Palghar Police Station. On 4th June, 2004, the respondent filed complaint under sections 498-A read with section 34 of Indian Penal Code against the appellant, his parents and sisters. On 4th June, 2004, the local police station arrested the appellant, his parents and sisters and produced them before the concerned court for bail, the appellant, his parents and sisters were subsequently released on bail. It is the case of the appellant that since 4th June, 2004, the parties have been staying separately. There is no issue out of said wedlock. 6. On 19th July, 2005 the appellant herein filed a petition i.e. Marriage Petition No.52 of 2005 against the respondent wife inter alia praying for divorce on the ground of cruelty and on other grounds. During the pendency of the said marriage petition filed by the appellant herein, a complaint bearing RCC No.193 of 2004 filed by the respondent under section 498-A read with section 34 of Indian Penal Code came to be disposed of on 7th May, 2007. 7. By the said order dated 7th May, 2007, the appellant, his parents and his sisters were acquitted for the offences under section 498-A read with section 34 of Indian Penal Code. The learned Judicial Magistrate, 1st Class held that the prosecution had failed to prove the offence in which the accused were charged. 8. On 31st January, 2008 the learned Civil Judge, Senior Division, Palghar allowed the Marriage Petition No.52 of 2005 filed by the appellant herein against the respondent inter alia praying for decree of divorce. By the said order and judgment dated 31st January, 2008, the learned Civil Judge Senior Division directed that the marriage solemnized between the appellant and the respondent dated 15th June, 2002 was dissolved by decree of divorce under the provisions of Section 13(1) (i-a) of the Hindu Marriage Act from the date of the said order and directed the appellant to pay permanent maintenance of L 2,000/- per month to the respondent from the date of the said petition. 9. Though the appellant had prayed for divorce on various grounds, the learned Civil Judge, Senior Division allowed the said marriage petition only on the ground of cruelty. The said order and judgment of the learned Civil Judge, Senior Division was impugned by the respondent wife before the District Judge - 2, Palghar by filing Civil Appeal No.07 of 2008. During the pendency of the said appeal filed by the respondent wife in the Court of District Judge - 2, the appeal filed by the State of Maharashtra against the order passed by the Judicial Magistrate First Class (Criminal Case No.22 of 2007) in the Court of Additional Sessions Judge at Palghar came to be dismissed by an order and judgment dated 11th July, 2011. The respondent wife challenged the said order and judgment dated 11th July, 2011 passed by the learned District Judge by filing a Criminal Revision Application No.449 of 2011 in this court. The said criminal revision application filed by the respondent wife is dismissed by this court on 11th February, 2013. This court observed that the respondent wife had lodged two criminal prosecutions prior to marriage against the accused persons. The learned judge had considered that the complaints filed by the respondent wife were vague and without details and that the respondent herein was living separately from the accused persons. 10. By an order and judgment dated 7th August, 2010 the learned District Judge-2, Palghar allowed the Civil Appeal No.07 of 2008 filed by the respondent wife and has set aside the judgment and decree passed by the learned Civil Judge, Senior Division, Palghar in Marriage Petition No.52 of 2005 dated 31st January,2008 and dismissed the marriage petition filed by the appellant herein. This judgment and decree passed by the learned District Judge - 2 allowing the appeal filed by the respondent wife and dismissing the marriage petition filed by the appellant is impugned by the appellant husband in Second Appeal No.634 of 2013. "Whether in the facts and circumstances, the appellate Court was right in reversing the decree passed by the trial Court for divorce on the ground of cruelty particularly when the proceedings under Section 498A against the appellant-husband has culminated into acquittal upto the last stage ?" 12. Ms.Seema Sarnaik, learned counsel appearing for the appellant submits that in this case the respondent had not filed any application for restitution of conjugal rights. She had no intention to co-habit with the respondent. She pursued the complaint filed against the appellant, her parents and his sisters under section 498-A read with section 34 of Indian Penal Code to its logical end. She submits that the appellant, his parents and the sisters are acquitted in the criminal complaint filed by the respondent. The criminal court found that the prosecution had failed to prove the allegations made in the complaint. She submits that in the criminal proceedings, the appellant, his parents and sisters were acquitted but not based on any benefit of doubt given to the appellant and his family members but on merits. She submits that the said order passed by the learned Magistrate, First Class has been confirmed by the learned Sessions Judge and thereafter by this court. It is held that filing of such false complaint under section 498-A read with section 34 of Indian Penal Code and confirmation of such criminal case against the appellant and his family members amounted to the cruelty against the appellant and his family members and thus such action on the part of the respondent wife amounted to cruelty on which ground the appellant was entitled to seek divorce under Section 13(1) (i-a) of the Hindu Marriage Act. She submits that in view of arrest of the appellant along with his family members by the police, there was mental trauma and harassment to the appellant and his family members which amounted to cruelty. 13. Learned counsel for the appellant invited my attention to the findings rendered in the criminal proceedings in three orders passed therein and also the findings rendered by the learned Civil Judge, Senior Division in the Marriage Petition filed by the appellant. She submits that the learned Civil Judge, Senior Division had rightly held that the action on the part of the respondent in filing criminal complaint under section 498-A read with section 34 of Indian Penal Code amounted to cruelty. She submits that when the order was passed by the learned Civil Judge, Senior Division in the said Marriage Petition, the criminal appeal filed by the State of Maharashtra was pending. 14. Learned counsel placed reliance on the judgment of Division Bench reported in 2014(4) Bom.C.R.456 and in particular paragraphs 27, 29, 32 and 34 of the said judgment and would submit that if the acquittal is on the ground that the charge could not be substantiated and even if there is no finding recorded by the criminal court that the prosecution case was false, there can be a case of cruelty. 15. Learned counsel for the appellant also placed reliance on the judgment of Supreme Court in case of Vishwanath Sitaram Agrawal v. Sau. Sarla Vishwanath Agrawal, 2012 AIR (SC) 2586 and more particularly paragraphs 28, 29, 33 to 35 and would submit that the decision of acquittal against the appellant, his parents and other relatives in the proceeding filed under section 498A of Indian Penal Code were found incorrect and untruthful and such act on the part of the wife would create mental trauma in the mind of the husband. 16. Learned counsel appearing for the appellant also placed reliance on the unreported judgment of this court delivered on 6th May, 2010 in case of Nagesh Dhanapp Chilkanti v. Sau. Manisha Nagesh Chilkanti in Family Court Appeal No.158 of 2008, judgment of Supreme Court in case of K.Srinivas v. K.Sunita, (2014) 16 SCC 34 in support of the submission that filing of the criminal complaint under section 498A of Indian Penal Code against the appellant and his family members which were found frivolous itself was amounted to cruelty by the respondent upon the appellant and on that ground itself appellant was entitled to seek divorce from the respondent. 17. Mr.Bhate, learned counsel for the respondent on the other hand submits that the appellant and the respondent were already staying together between 1996 and 2002 as husband and wife. 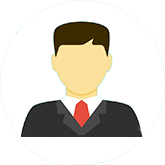 Since the appellant had refused to marry the respondent in spite of the promise and staying with the respondent as husband, the respondent was compelled to file two complaints against the appellant i.e. one under the provisions of Dowry Prohibition Act and another for committing assault by the appellant on the respondent. He submits that the appellant never filed any proceeding for quashing of those two complaints filed by the respondent wife. Within one month from the date of marriage solemnized between the parties on 15th June 2002, the respondent wife had withdrawn her complaints on 12th July, 2002. 18. It is submitted by the learned counsel that the appellant and the respondent were not staying separately but were staying in a separate room. He submits that though the marriage took place on 15th June, 2002, there was no complaint filed by either party against each other till June 2004. He invited my attention to the complaint filed by the appellant on 31st May, 2004 against the respondent alleging threats of the respondent to file complaint under section 498A of Indian Penal Code. He submits that since the appellant had thrown out respondent on 4th June, 2004, the respondent was compelled to file a complaint under section 498A read with section 34 of the Indian Penal Code against the appellant, his parents and sisters for the offences committed by them. He submits that since the respondent was staying with the appellant till 4th June, 2004, the stand of the appellant that the respondent had been staying separately since eight months prior to the date of filing complaint or during the period between 15th June, 2002 to 4th June, 2004 did not arise. He submits that the civil court has to decide the case on the basis of preponderance of the probability. Learned counsel placed reliance on section 23(1) (a) of the Hindu Marriage Act, 1955 and would submit that the appellant had taken advantage of his wrong by staying with the respondent wife for a period of six years without marriage as a husband and who had committed offence under section 498A cannot be granted divorce in view of section 23(1)(a) of the Hindu Marriage Act, 1955. 19. Insofar as judgment of this court reported in 2014(4) Bom.C.R. 456 relied upon by the learned counsel for the appellant is concerned, learned counsel appearing for the respondent made an attempt to distinguish the said judgment on the ground that the said judgment was decided on the basis of the facts stated therein which facts are totally different than the facts in this case. 20. Learned counsel for the respondent placed reliance on the judgment of this court in case of Mrs.Deeplakshmi Sachin Zingade v. Sachin Rameshrao Zingade, AIR 2010 Bombay 16 and in particular paragraph 16 and submits that this court has held that when the Domestic Violence Act permits the wife to approach the court in case of any cruelty on the part of the husband and if that remedy is availed of, such act should not be treated as an act of cruelty, otherwise in no case a lady can file any complaint, if the filing of such complaint is to be treated as an act of cruelty. 21. Learned counsel for the respondent placed reliance on the judgment of Patna High Court in case of Bhola Kumar v. Seema Devi @ Dolly, III (2015) DMC 437 (DB) (Patna) and in particular paragraph 16 and would submit that Patna High Court has taken a view that institution of criminal case by the wife against the respondent and family members will per se not constitute cruelty for the purpose of seeking divorce unless it is held by a Court of competent jurisdiction that the said complaint/allegation was false and vexatious. 22. Learned counsel for the respondent made an attempt to distinguish the judgment of Supreme Court in case of K.Srinivas v. K.Sunita, (2014) 16 SCC 34 on the ground that the Supreme Court in the said judgment had rejected the contention of wife on the ground that the wife had not narrated the complete facts in the complaint. He submits that the facts before the Supreme Court in the said judgment were totally different and the said judgment is clearly distinguishable in the facts of this case. 23. Ms.Sarnaik, learned counsel for the appellant in rejoinder submits that the appellant husband was compelled to file a complaint against the wife on 31st May, 2004 based on the apprehension that the wife would be initiating a false action under section 498A of the Indian Penal Code and was threatening the appellant and thus the said complaint was justified by the appellant. She submits that the judgments relied upon by the appellant are squarely applicable to the facts of this case and are binding on the parties and this court. It is submitted that the respondent cannot seek reliance upon section 23(1) (a) of the Hindu Marriage Act, 1955 on the ground that false complaints were filed by the wife against the appellant even before marriage was solemnized between the parties and in view of such false and frivolous complaint, the appellant was forced to marry her. She submits that it was the respondent who committed wrong and not the appellant and thus the said provisions under section 23(1) (a) of the Hindu Marriage Act, 1955 would assist the appellant and not the respondent. Learned counsel for the appellant distinguished the judgment of this court in case of Mrs.Deeplakshmi Sachin Zingade (supra) relied upon by the respondent on the ground that the complaint in the present proceedings was not filed under the provisions of Domestic Violence Act but were filed under the provisions of section 498-A of the Indian Penal Code. The criminal complaint in the said proceedings were still pending whereas in this case, a criminal complaint filed at the instance of the respondent was dismissed with a finding that the prosecution could not prove the allegations made in the complaint. She submits that the said judgment would not apply to the facts of this case at all. 24. Learned counsel for the appellant also distinguished the judgment of Patna High Court in case of Bhola Kumar (supra) relied upon by the learned counsel for the respondent on the ground that the criminal case in the said matter was pending adjudication before the criminal court of competent jurisdiction and thus the said judgment would not apply to the facts of this case. 25. There is no dispute that the appellant and the respondent were staying together prior to 15th June, 2002. It was the case of the respondent wife that the appellant and the respondent were staying together since 1996 and during the period between 1996 and 1999, the appellant had refused the proposal of the respondent to marry her. It is also not in dispute that the respondent had filed a case (Regular Case No.209 of 1999) in Palghar Court under sections 3 and 4 of the Prevention of Dowry Act against the appellant. The respondent had also filed one more criminal case i.e. Criminal Case No.584 of 2001 under sections 323, 504 and 506 of the Indian Penal Code against the appellant during that period. 27. It was the case of the appellant that since 4th June, 2004, the parties have been staying separately and there was no issue out of the said wed-lock. 28. It was the case of the appellant that since the respondent had threatened the appellant of filing a complaint under section 498-A read with 34 of IPC, the appellant had filed a complaint against her on 31st May, 2004. On 4th June, 2004, the respondent filed a complaint under section 498-A read with 34 of IPC against the appellant, his parents and sisters. On 4th June, 2004, local police arrested the appellant, his parents and sisters who were subsequently released on bail. 29. There is no dispute that during the pendency of the marriage petition filed by the appellant husband against the respondent, inter-alia praying for divorce on the ground of cruelty and other grounds, by an order dated 7th May, 2007 passed by the Criminal Court, the appellant and his family members were acquitted in the complaint bearing Regular Case No.193 of 2004 filed by the respondent. The learned trial Judge allowed Marriage Petition No.52 of 2005 under section 13(1)(i-a) of the Hindu Marriage Act, 1955 for dissolution of marriage and by a decree of divorce on the ground that the respondent wife had committed cruelty upon the appellant. 30. It is not in dispute that the appeal filed by the State Government against the order passed by the Judicial Magistrate First Class acquitting the appellant and his family embers in the Court of Additional Sessions Court, Palghar came to be dismissed by an order and judgment dated 11th July, 2011. Criminal Revision Application No.449 of 2011 filed by the respondent wife against the order passed by the Additional Sessions Judge also came to be dismissed by this Court on 11th February, 2013. This Court while dismissing the said criminal revision application has observed that the respondent wife has lodged these two criminal proceedings even prior to the date of marriage with the appellant against the appellant. The said order passed by this Court on 11th February, 2013 has not been impugned by the respondent wife and the said order has attained finality. 31. A perusal of the three orders passed in the criminal proceedings filed against the appellant and his family members clearly indicates that the complaint filed by the respondent against the appellant and his family members has been rejected on merits. The appellant and his family members were not acquitted in the criminal proceedings on the basis of benefit of doubt given to the appellant and his family members. The order passed by the learned Magistrate First Class has been confirmed by the learned Additional Sessions Judge and thereafter by this Court. The learned trial Court in the criminal proceedings filed by the appellant had held that filing of such false case under sections 498-A read with 34 of IPC by the respondent against the appellant amounted to cruelty against the appellant and his family members and on that ground the appellant was entitled to seek divorce. 32. Insofar as the submission of learned counsel for the respondent that the appellant had not filed any proceedings for quashing of those two complaints filed by the respondent wife before the appellant had married the respondent is concerned, a perusal of the record makes it clear that immediately upon the appellant marrying the respondent, the respondent had compromised both the criminal cases and had withdrawn those complaints. In my view, there is thus merit in the submission made by learned counsel for the appellant that the appellant was forced to marry the respondent in view of such criminal complaints filed against the appellant before such marriage and only because of the assurance by the respondent that those complaints would be withdrawn if the appellant would marry her, the appellant had married the respondent. 33. A perusal of the orders passed in the criminal proceedings clearly indicates that the appellant and his family members were arrested in view of the complaint filed by the respondent under section 498-A read with 34 of IPC and were subsequently released on board. It further indicates that the appellant and his family members were not acquitted based of any benefit of doubt given to them but were acquitted on the ground that the complaints filed by the respondent was totally vague and the allegations therein were not proved. The order passed by the learned Magistrate First Class, in the said complaint has attained finality in view of the order passed by the learned Additional Sessions Judge dismissing the appeal filed by the State of Maharashtra and by virtue of the order passed by this Court, dismissing the criminal revision application field by the respondent. It is thus clear that there was a mental trauma on the appellant in view of such criminal complaint which was prosecuted by the respondent right up to this Court by taking it to its logical end. The respondent has been already staying separately for last 10 years. There was no separate application filed by the respondent for restitution of conjugal rights under section 9 of the Hindu Marriage Act, 1955. In my view, the learned trial Court was thus right in holding that the respondent wife had committed cruelty upon the appellant and was right in grating a decree of divorce on that ground. 34. A perusal of the order passed by the lower appellant Court however, indicates that the lower appellate Court has taken a very casual approach by totally ignoring the effect of the order of acquittal passed by the Criminal Court. When lower appellate Court had passed an order on 7th August, 2010, the learned Magistrate First Class had already dismissed the complaint filed by the prosecution under section 498-A read with 34 of IPC which acquitted the appellant and his family members. 35. Both the parties have relied upon several judgments of the Supreme Court and this Court. The Supreme Court in case of K. Srinivas (supra) has held that it is beyond cavil that if a a false criminal complaint is preferred by either spouse it would invariably and indubitably constitute matrimonial cruelty, such as would entitle the other spouse to claim a divorce. The Supreme Court in the said judgment held that the respondent wife had admitted in her cross-examination that she did not mention of the incidents on which her complaint was predicated, in her statement under section 161 of Cr.P.C. It was also not her case that she had actually narrated all those facts to the Investigating Officer but he had neglected to mention them. The Supreme Court accordingly held that it was clearly indicative of the fact that the criminal complaint was contrived after thought. The Supreme Court took cognizance of the fact that though the High Court had been informed about the acquittal of the husband and his family members, the High Court had not concluded that complaint of the wife was knowingly and intentionally a false complaint, calculated to embarrass and incarcerate the appellant and seven members of his family. It is held that the High Court ought to have concluded that the said complaint was false complaint and that such conduct of the wife unquestionably constituted cruelty as postulated in section 13(1)(i-a) of the Hindu Marriage Act, 1955. 36. The Division Bench of this Court in case of Nagesh Dhanapp Chilkanti v. Sau.Manisha Nagesh Chilkanti (supra) had considered a similar case where the husband and his family members were acquitted in the complaint filed under section 498-A of IPC read with other provisions of IPC. The Division Bench of this Court has held that filing of false criminal cases against the husband and his family members would very much constitute mental cruelty. The Division Bench further held that the respondent wife was guilty of treating the husband with utmost mental cruelty by filing false criminal case which ultimately resulted in acquittal and thus the husband was entitled to a decree of divorce o the ground of cruelty. A perusal of the order passed by the learned Magistrate First Class in the criminal case filed by the prosecution based on the complaint filed by the respondent indicates that the said complaint has been rejected on merits and not on the ground that the prosecution had failed to prove the case beyond reasonable doubt. In my view, it was thus clear that the said complaint filed by the respondent wife against the appellant and his family members was a false complaint and was filed as and by way of after thought and with an intention to defame the appellant and his family members. 37. The Division Bench of this Court in case of Nitin Ramesh Dhiwar v. Sou. Poopali Nitin Dhiwar (supra) has held that filing of a false criminal case itself amounts to cruelty within the meaning of section 13(1)(i-a) of the Hindu Marriage Act, 1955. 38. The Division Bench of this Court in the judgment reported in 2014(4) B.C.R. 456 has held that in a given case depending upon the evidence on record, even if acquittal is on the ground that the charge could not be substantiated and even if there was no finding recorded by the Criminal Court that the prosecution's case was false, there can be a case of cruelty. It depends on the manner in which the complaint was filed and prosecuted. 39. The Supreme Court in case of Vishwanath Sitaram Agrawal v. Sau.Sarla Vishwanath Agrawal, reported in AIR 2012 SC 2586 has after considering the fact that the wife had filed a complaint under section 498-A of IPC against the husband, her father-in-law and other relatives, who had been acquitted in that case and the said decision of the acquittal had not been assailed before the higher forum, the allegations on that count were incorrect and untruthful and thus it could be unhesitatingly be stated that such an act creates mental trauma in the mind of the husband as no one would like to face a criminal proceeding of this nature on baseless and untruthful allegations. In this case also the appellant and his family members have been acquitted since the allegations made in the complaint filed by the respondent and in the proceedings filed by the prosecution were not proved on merits. The said judgment of the learned Magistrate First class has admittedly been upheld by the learned Session Court and by this court. The said judgment, in my view, would squarely apply to the fact of this case. 40. The Supreme Court in case of G.V.N. Kameswara Rao v. G. Jabilli, reported in (2002) 2 SCC 296 has adverted to its earlier judgment in case of V. Bhagat v. D. Bhagat, reported in (1994) 1 SCC 337 in which it was held that a mental cruelty under section 13(1)(i-a) can be defined as that conduct which inflicts upon the other party such mental pain and suffering as would make it not possible for that party to live with the other. The situation must be such that the wronged party cannot reasonably be asked to put up with such conduct and continue to live with the other party. The Court must have regard to the social status, educational level of the parties, the society they move in, the possibility or otherwise of the parties ever living together in case they are already living apart and all other relevant facts and circumstances which it is neither possible nor desirable to set out exhaustively. In that case also both the parties did not live together for a long period as happy married couple. The Supreme Court held in that case that the appellant husband could not be denied the relief by invoking section 23(1)(a) of the Hindu Marriage Act. 43. The Supreme Court as well as this Court in the aforesaid judgments have consistently held that if the false criminal complaint is preferred by either spouse it would invariably and indubitably constitute matrimonial cruelty, such as would entitle the other spouse to claim a divorce. In my view, the respondent having filed a false complaint alleging offence under section 498-A and other provisions of IPC in which the appellant and his family members were acquitted and thus the appellant was entitled to seek divorce on the ground of cruelty under section 13(1)(i-a) of the Hindu Marriage Act. 44. Insofar as the submission of learned counsel for the respondent that the appellant and the respondent were staying in a separate room and that there was no complaint filed by either party against each other till 2004 and thus there was no question of the respondent committing any cruelty against the appellant is concerned, the fact remains that the respondent had filed a complaint against the appellant and his family members under section 498-A of IPC. The appellant apprehending that such complaint would be filed, had filed a police complaint against the respondent on 31st May, 2004. As and by way of counter blast to the said complaint, the respondent filed a complaint under section 498-A of IPC on 4th June, 2004. 45. Insofar as the submission of learned counsel for the respondent that in view of the appellant and the respondent staying for a period of six years i.e. from 1996 till 2002 together i.e. prior to the date of marriage as husband and wife,the learned trial Judge could not have granted divorce against the respondent in view of the appellant having taken advantage against the respondent by placing reliance on section 23(1)(a) of the Hindu Marriage Act, 1995 is concerned, in my view there is no merit in this submission of learned counsel. A perusal of the record clearly indicates that the respondent had filed two complaints against the appellant even prior to the date of marriage. Since the appellant married the respondent ultimately, both the complaints were compromised. The respondent thereafter filed a fresh complaint under section 498-A of IPC against the appellant and his family members and based on such false complaint, the appellant and his family members were arrested. In my view, since the respondent had taken advantage of the appellant of her own wrong and not the appellant as canvassed by learned counsel for the respondent, the appellant was entitled to seek divorce under the said provision. The said provision in these facts and circumstances would come to the rescue of the appellant and not the respondent herein. 46. This Court in case of Manoj Madhukarrao Pate v. Sou.Vijaya Manoj Pate, reported in 2015(1) ALL MR 95 has considered a similar situation and has held that the wife who had filed a false complaint against the husband and his family members under section 498-A of IPC, and the husband and his family members having been acquitted, the husband was entitled to seek divorce on the ground of cruelty under section 13(1)(i-a) of the Hindu Marriage Act, 1955 against the wife. 47. In my view, the judgment of the Supreme Court in case of G.V.N. Kameswara Rao v. G. Jabilli, reported in (2002) 2 SCC 296, on the issue raised by the learned counsel for the respondent under section 23(1)(i-a) of the Hindu Marriage Act, 1955 would apply to the facts of this case and would assist the case of the appellant husband. 48. Insofar as the judgment of the Division Bench of this Court in case of Mrs.Deeplakshmi Sachin Zingade v. Sachin Rameshrao Zingade (supra) relied by learned counsel for the respondent is concerned, in my view the said judgment is clearly distinguishable in the facts of this case. The complaint filed by the wife in the said matter was under the provisions of Domestic Violence Act and not under section 498-A of IPC. The provisions of section 498-A of IPC are totally different than the provisions of Domestic Violence Act. 49. Insofar as the judgment of the Patna High Court in case of Bhola Kumar v. Seema Devi @ Dolly (supra) relied upon by learned counsel for the respondent is concerned, it is held by the Patna High Court that the institution of criminal case by the wife perse would not constitute cruelty for seeking divorce. In the said matter, the criminal case was still pending adjudication before the Criminal Court of competent jurisdiction when the marriage petition for divorce was heard by the Family Court. In that context, the Patna High Court took a view that merely because criminal case was filed, it would not amount to cruelty. In this case, the criminal case was not only rejected, the order passed by the learned Magistrate First Class has been upheld by the learned Additional Sessions Judge as well as by this Court. The said judgment of the Patna High Court in my view, thus would not apply to the facts of this case and does not assist the case of the respondent. 51. In my view, the order passed by the lower appellate Court is totally erroneous and contrary to law laid down by the Supreme Court and this Court holding that if the wife had filed a false case against the husband and his family members in which the appellant husband and his family members are acquitted, it amounted to cruelty and the husband on the said ground was entitled to seek divorce. The impugned order passed by the lower appellate Court thus deserves to be set aside. a) Second Appeal No.634 of 2013 is allowed. The impugned order and judgment dated 7th August, 2010 passed by the Additional District Judge, Palghar in Civil Appeal No.7 of 2008 is set aside. b). The judgment and decree passed in Marriage Petition No.52 of 2005 dated 31st January, 2008 passed by the learned Civil Judge, Senior Division, Palghar is restored to file. Marriage Petition No.52 of 2005 is decreed. At the request of learned counsel for the respondent, the operation of this order is stayed for a period of eight weeks from today. 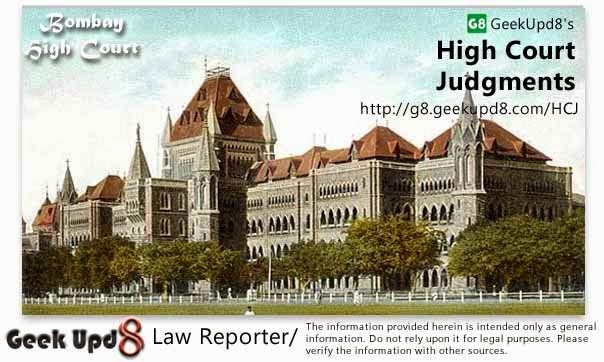 Geek Upd8 - Law Reporter: Whether Husband can seek divorce against wife if wife had filed false case against husband ? Hindu Marriage Act, 1955 Section 13(l)(i-a) - Divorce - On the ground of Cruelty - Appeal filed by husband - In the earlier criminal proceedings husband and his family members were arrested in view of complaint filed by wife under Section 498-A read with 34 of Indian Penal Code and were subsequently released on board. Husband granted decree of divorce - Second appeal allowed.